Losing weight is usually a somewhat tedious thing, and it ‘s not always a success. Meanwhile, all ladies want to get rid of belly fat quickly and efficiently. Here is a neat little helper, the waist trimmer belt, can help you get there faster. Don’t you know what a waist trimming belt is yet? Let ‘s read on. What are Waist Trimmer Belts? People who want to lose those additional pounds must understand the fact that the best way to lose the weight is through regular exercise and a well-balanced diet. There is no other way especially a quicker or a shorter form. Beside this, you can also use some add-ons as well as some supplements which are safe to consume. These add-ons and supplements go together with your regular exercise and proper diet. All these things working together will enable you to get your body back into your desired shape. Waist trimmer belts, also known as weight-loss belts or sauna belts, are also add-ons to your daily workout sessions plans. Nature has designed stomach to store fat along with surplus water within the body. Exercise can reduce fat store in the skin cells up to some extent, but the excess water does not go anywhere with training. It is where waist trimmer belts come in handy. You can fasten these belts around your waist and enable your body to sweat off surplus water from the stomach region. When the body gets rid of the surplus water, you lose the water weight thus contributing towards weight loss..
As essential weight loss equipment, waist trimmer belts are very straightforward and easy to use. If you have bought your new waist trimmer belt, you will find it is rolled and packed inside the box. Unroll until it is completely stretched out. Hold both ends of your belt and make sure that the darker side or the black side is on your back. If possible, wear a thin spandex shirt on your skin and then wrap this belt around the stomach area. Now bring the belt in the manner that the darker side is touching your lower back and pull the non-fastening side of your belt around your belly until the belt covers the front side of your stomach. Now you can wrap the fastening end of the belt around your torso and push the fastening side onto the non-fastening side. Make sure that it is entirely secure and you are comfortable wearing it. The closure should be reliable. When you close the hooks, the trimmer should pull your waist close enough, but it should not protrude. Make sure you don’t feel pain after wearing it. Don’t wear it too tight. Don’t wear it too much of time, and less than two consecutive hours better. Keep your body hydrated while using the trimmer. You should not wear a waist trimmer when you are pregnant and have undiagnosed abdominal or back pain. You can get a straighter look when you wear it under your shirt or blouse. When you look at yourself and find a massive bulge around your abdominal area, it makes you feel gruesome about your body. You begin to start skipping the gatherings of your friends and family because you think that you do not look great. You begin to lose confidence in yourself. In this situation, the waist trimmer belt does its job very well. Waist trimmers burn the fat around your midsection and keep your original weight in check; giving your body a better look. These belts bring out your healthier version that was hiding behind the layers of fat. However, keep in mind waist trimmer does not work like a magic bullet that enables you to get rid of your jelly-belly overnight. For improved results ensure some healthy dietary changes and also start doing regular exercises. Improper diet and no exercise contribute heavily towards increased weight. A waist trimmer is the one that will swallow the fat of your waist, and you can wear it anytime as well as wherever you want. The belts have nonporous synthetic rubber which will collect the sweat. The neoprene fabric belt uses your body heat, and your belly will release the surplus water stored in the stomach. You can wear it under your clothes anytime, anywhere and let the belt do its job. Many women wear corsets for a seamless appearance. Similarly, waist trimmers can also be used to create an illusion of the looks of a slimmer waist. Just working similarly to elastic slimming garments, the belt wraps around your torso and compresses your midsection in a manner that your midsection will look a lot thinner. At the same time, your mental outlook will improve indeed, and your self-confidence will be boosted so that you will be motivated to work and live better. These waist trimmer belts are not only deceiving your body appearance. They can get you lean authentically, and it is probably the best part of these waist trimmers. You will feel the immediate effect of these belts as soon as you put one of these on your midsection. The belts have neoprene material which is a stretchy fabric and enables you to do your workout easily while wearing one of these. When you are on your treadmill with your high-quality waist trimmer on, you will lose extra fat and fast due to additional tension on your waist. The process involves a high body temperature and enhanced blood circulation. For this reason, it is beneficial for people with high blood pressure and is very active for people with heart diseases. Belly fat does not go anywhere quickly, and it can be very tough to get rid of that stubborn fat and the excess weight around your midsection. Using a waist trimmer will shrink down your belly size and will provide you a straighter posture through its compression bandages. And the best waist trimmer can extract more sweat from your abdomen to boost the fat burning process rather than doing a disservice, meaning you’ll lose weight around your belly more quickly. Therefore, you can cover your jiggling belly during your workouts and in a routine as well. These belts are especially good news for postpartum women, who find it difficult to get time for other weight-loss programs while caring for the babies and trying to deal with their hunger, so a waist trimmer is a perfect substitution to help you get back to your pre-baby body faster. Body position is a huge role to play when you know you want to look good. Excellent body posture adds so much to your overall personality and outlook. Waist trimmers not only allows you get rid of that extra fat around your midsection, but it also improves your overall body posture, such as walking, standing, or sitting, because it grips your stomach and makes you stand straight. You will even get additional support from the belt when you are working out. We all know that the more you eat, the bigger your stomach will be, but wearing a waist trimmer belt will control the amount of food you eat and keep you slim. It is because the waist compression that comes with the belt will help you get used to eating less and thus help you reach your waist training goals faster. The waist trimming belt will not only help you solve your beauty problems, but it is also a good assistant for your health. Many doctors recommend using a waist trimmer to support your back so that you can relieve back pain and prevent spinal cord injuries. And while the trimmer keeps your back still, your abdomen will become straight. When you sweat, you ‘re excreting toxins out of your body, so the use of waist trimmer belts is also removing toxins from your body because it can dramatically increase your sweat flow, especially when applied directly to your skin. The use of waist circumference is considered to be relatively safe. While the waist trimmer does produce some compression, which is necessary for its functional properties, and it does not cause problems as long as it is not overused. The waist trimmer belt by Sweat Sweat is designed to increase the core temperature of your midsection. It also improves your thermogenic activity during workouts. The belt has high-quality neoprene fabric that provides superior heat insulation and provides excellent lower back support as well. You will also receive a free of cost Sweet Sweat gel sample. You can apply this gel on your torso and wear the belt over it. It will give you a fantastic result from your workout or aerobic exercise. 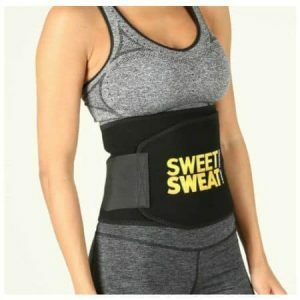 Sweet-Sweat waist trimmer belt improves your sweating as well as heat generation during your exercises. The belt is made neoprene fabric free from latex and is designed to provide excellent support to your lower back. It is very flexible to adjust as per the requirements of your body which provides you full body motions during your exercise as well as your regular day routine. Sweet-Sweat waist trimmer belt has an inner lining which has textured grid. It repels any absorption of the moisture. The belt also comes with sample gel and a breathable carrying bag. The gel can be used to enhance the results. The belt is available in different sizes suitable for waists ranging from 33 inches to 58 inches. One more excellent brand for waist trimmer belts is McDavid. The belt provides the core support to your back in addition to your weight loss program. If you have those itchy back pains, then this belt is ideal for you. It will not only help in relieving your back pains but will also improve the weight loss process because it is equipped with therapeutic heat. The belt has some cushions throughout its design, and it compresses your lower back allowing you to bend and move comfortably. It also works great on your abdominal muscles because it has high-quality neoprene fabric which is free from latex. McDavid waist trimmer belt has a non-slipping inner layer made from high-quality neoprene material that supports straight posture. The neoprene strap has an easily adjustable hook as well as loop closures that are ideal for customized comfort and fit. 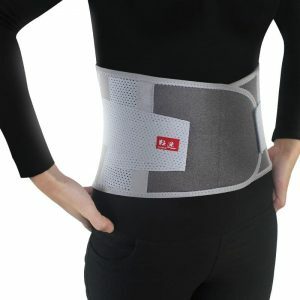 It supports soft tissue of the lower back and abdomen with its latex-free neoprene development. Its soft cushions are ideal for your belly as well as your back. 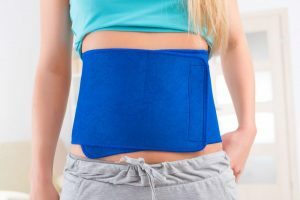 The belt is perfect for minor backaches and also assists in getting rid of the excess water weight from the midsection. 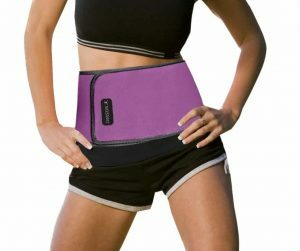 It is also available in different sizes excellent for waists up to 58 inches. Waist trimmers are the newest favorites for all the fitness freaks around the globe. An enormous advantage of using these waist trimmer belts is that your body has complete freedom to mobilize. Unlike those corsets and waist trainers, these belts do provide practical results, and you do not have to behave like a rigid robot. Weight loss does not mean that you have to go out of your comfort zone and keep yourself in heaps of pain. When you are comfortable, you can wear it longer for even better results. Waist trimmers work to solve your future problems regarding your weight in a precise manner. It generates heat in the midsection and gets rid of that surplus water around your belly. These belts are ideal for personal health because they not only contribute towards your weight loss regime but also provide improved support to your back and keep your posture straight as to making you look and feel great. At the same time, keep in mind that any legal and practical way to lose weight should be considered a tool and should not typically be done alone, so wear the belt with healthy nutrition and regular exercise to further support the weight loss process.